CHILDREN of all races must be brought up in a culture of appreciation for diversified ethnicity that exists around them. "We're so fixed with the perception of our own culture so that we don't give way to learning or appreciating the many other races and cultures that dwell among us," ECREA Youth Peace Facilitator programme co-ordinator Waisale Ramoce said. 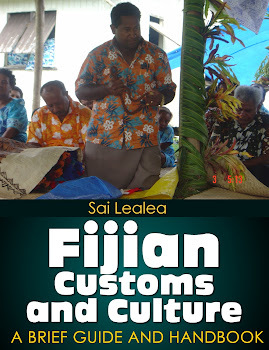 He said a lot of people never opened up to the many different races and cultures that existed in Fiji. He made this comment in an interview yesterday during the youth peace facilitator's two-day workshop at the Bergengren Hall in Suva yesterday. "We seem to be stuck with our own cultural perception and we don't open up to the other values and traditions of other ethnic groups," Mr Ramoce said. He said another challenge was that of the failure by the general public to appreciate the diversity of races and cultures in the country. "We seem to overlook this diversity of cultures and traditions," Mr Ramoce said. Another matter he highlighted was that of policies at the national level. He said policies that favoured assistance for the majority over the minority was in itself was an indication of the existence of racial discrimination. He said Fiji would not be seen as a country that had achieved multicultural living regardless of being a multicultural country. "I think there is a huge problem of racial discrimination in the country. "There is a lot we need to do now if we are to achieve a real multicultural living society," Mr Ramoce said.